The lighting reflects off the ceiling in a way that makes the whole place have a feeling of calm. Granted this was taken later at night around 10pm so rush hour didn't disturb me as I gawked at the wonderful sights. I knew I would regret not taking these pictures. I'm so glad I did. What other places do you go to that have surprisingly wonderful architecture ? 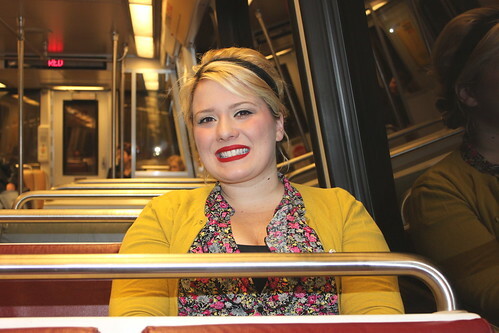 Here is a picture of me riding the metro. I was feeling the 60's that day mostly due to rain and semi-dirty hair... I think I sort of like it! I know that Metro stop! 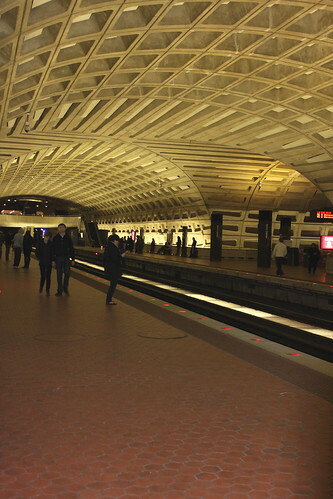 Metro Center on the Red line! 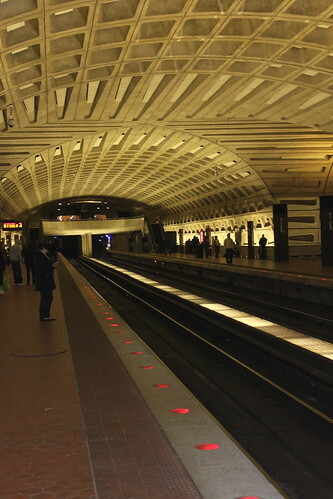 I travel on Metro a few times per week for work. I hope you had fun in "my town!" I love the architecture at Union Station. It was built in the early 1900s and it has a very Art Nouveau look. 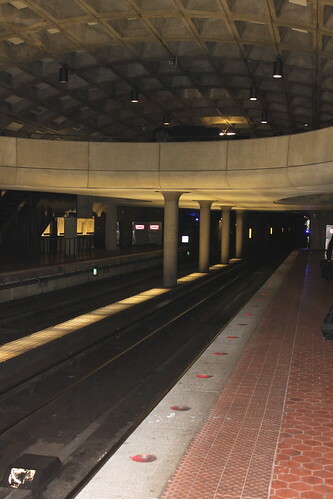 Union Station is on the Red line for Metro. It is also an Amtrak Station and also boasts a nice mall with restaurants.